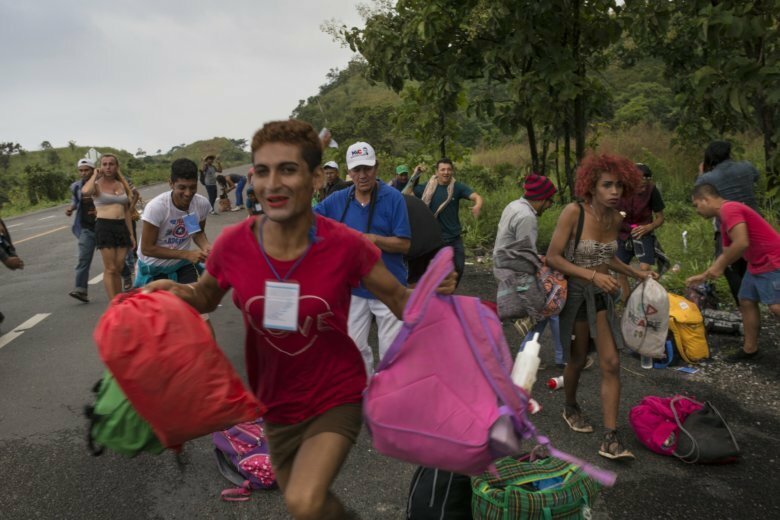 WASHINGTON (AP) — Did someone say caravan? One week after Election Day, President Donald Trump’s daily drumbeat of warnings about a caravan of “bad thugs” and potential terrorists intent on invading the U.S. from Mexico has largely fallen silent. Trump and his media allies have largely moved on: They’re more focused now on the possibility of electoral chicanery in recounts in the Florida Senate and governor’s races. Within the West Wing and in Trump’s orbit of allies, there is a sense that the caravan was a useful midterm messaging tool, one that became the centerpiece of an eleventh-hour pre-election strategy modeled on the president’s 2016 campaign pledges to crack down on illegal immigration, according to four White House officials and outside advisers not authorized to speak publicly about private conversations. But once the election was over, the president’s attention turned elsewhere, the officials and advisers said. For weeks before the election, the caravan was a dominant news story. The largest caravan was believed to have formed in Honduras on Oct. 12 and first was featured in a “Fox & Friends” segment four days later, which prompted a tweet from the show’s most famous fan. But the caravan was Trump’s favorite talking point. During his final blitz of campaign rallies, he hammered at the threat night after night and, without evidence, suggested that Democrats were supporting — and perhaps funding — the march of migrants. That tweet, on Oct. 31, was his last on the subject. Since the election, he’s invoked the caravan only once. Asked about it during a news conference last Wednesday, Trump said “I’m not just talking about the caravans” when talking about militarizing the southern border and his proposed wall. “Clearly, this was an election-eve stunt designed to whip up the base that really didn’t have much foundation in fact and, clearly, when the election was over there was no need to keep beating those drums,” said Mark Feldstein, journalism professor at the University of Maryland. He added that what the conservative media did with the story was “really toxic” and divided an already polarized country. “The very fact that they dropped it so suddenly is just further confirmation of how bogus the story was in the first place,” Feldstein said. Some Republicans said the caravan’s fade from the spotlight was a natural part of the election cycle. Lemire reported from New York. Associated Press writers David Bauder in New York and Robert Burns in Washington contributed reporting.